Among the gems pumped out for me: vowel-challenged Phonestr ("a place for people who enjoy phoning to connect"), Rememberable ("We're remembering to sustain things that matter"), Outsideify ("We use outsides to adventure things that matter") and certain IPO candidate StareLink ("StareLink is why you'll never stare the same way again"). Of course, if you think those are amusing, check out the names on our running list of the REAL network and IT startups that have gotten venture funding so far this year. 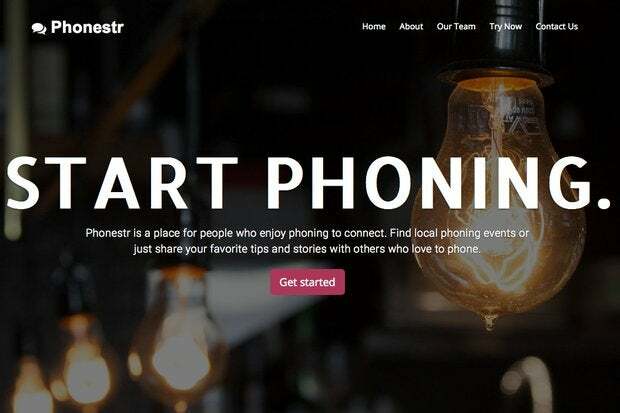 Mike Bradley and Tiffany Zhang's random startup website generator, which they did as a side project over Spring Break to practice their web programming, has gained some attention this week after Zhang dropped it on Hacker News and Reddit. 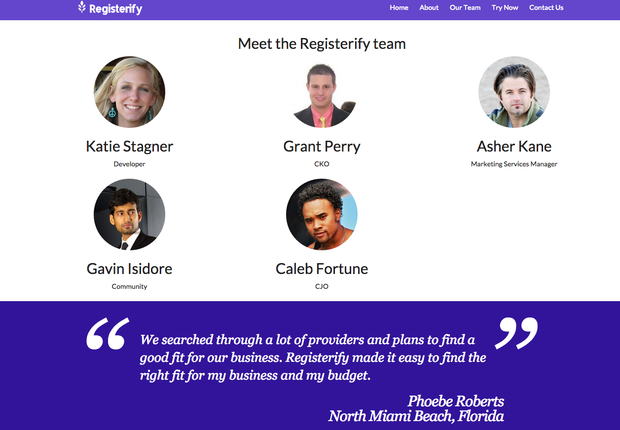 As Bradley explains on his personal web page, the generator "serves as a parody of startups that have websites full of vague praise and little information about their actual business, often because they have little to show in that regard." The site has been received enthusiastically, with one viewer calling it "pure satirical genius." Not only does the generator produce website home pages, but also cranks out those standard pages you love such as About, Our Team and Contact, featuring the usual inane customer quotes and personnel titles (i.e., CJO...?). Such random generators are apparently the sort of thing Georgia Tech students do. Bradley also lists a Reasonable Name Generator on his web page and Zhang has a random color generator on hers. Zhang and Bradley also combined previously on Invisible Ink, a steganography program for hiding messages in images. Bradley says he's never worked for a startup, but would be open to it. "While we are satirizing generic startup websites, what we're really making fun of is the sort of startup that tries to survive on marketing with no solid ideas," he says. "There are lots of great startups out there and while there may be a bit of a bubble, I believe the best will rise to the top."